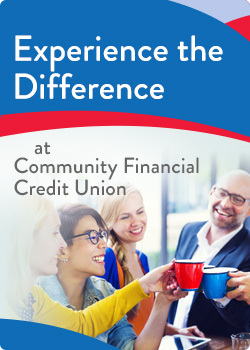 Community Financial offers a full line of services to help businesses work smarter, faster & more efficiently. We can help you set up both credit and debit card services. Your credit union offers safe and secure electronic processing services. Consider quick processing of your deposits for faster funds availability. Convenient electronic transferring of payments to suppliers and vendors saves you time. We can help you collect consumer payments electronically to streamline your accounting processes.